Other agreements included education cooperation, urban management, and collaboration between the two countries. 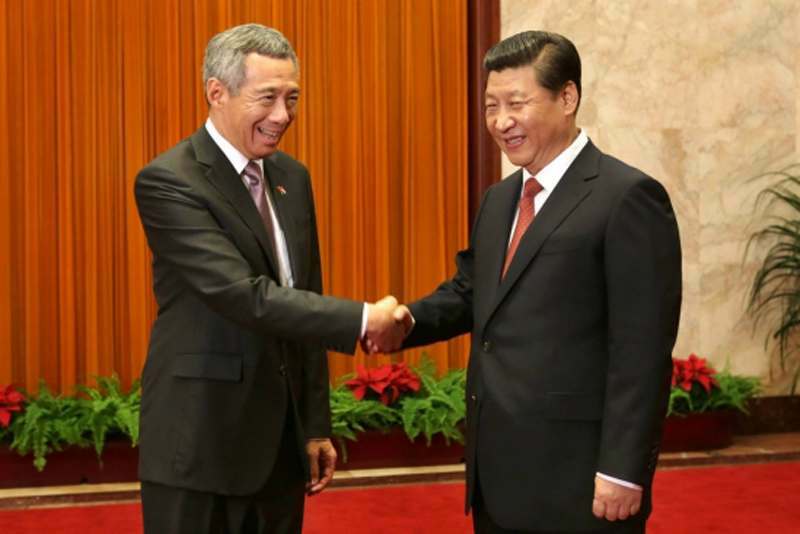 President of the People’s Republic of China His Excellency Xi Jinping met Prime Minister Lee Hsien Loong on Friday. PM Lee and President Xi discussed how bilateral relations have grown significantly since the establishment of diplomatic ties 25 years ago. They agreed that the bilateral relationship has kept up with the changing needs and capabilities of the two countries. Both leaders also endorsed the launch of the third Government-to-Government project in Chongqing, with the name “China-Singapore (Chongqing) Demonstration Initiative on Strategic Connectivity”, which will be a priority demonstration project for China’s “One Belt One Road” initiative, the Western Region Development and Yangtze River Economic Belt strategies. Based on the theme of modern connectivity and modern services, the third Government-to-Government project will focus on four priority areas of collaboration: financial services; aviation; transport & logistics; and information & communications technology (ICT). Following the meeting, PM Lee and President Xi witnessed the signing of eight Memoranda of Understanding and agreements. These include the exchange of letters for the official launch of negotiations for the CSFTA upgrade, agreements to launch the third Government-to-Government project in Chongqing. PM Lee and President Xi discussed the importance of characterising warm and close bilateral relations. They agreed to issue a Joint Statement on the “All-Round Cooperative Partnership Progressing with the Times” to define the forward-looking, innovative, and multi-faceted nature of their bilateral ties. PM Lee and President Xi also exchanged views on regional developments. They agreed to strengthen collaboration between ASEAN and China. Both sides will mark the 25th anniversary of dialogue relations in 2016. As the current Country Coordinator for ASEAN-China Dialogue Relations, Singapore will work closely with ASEAN Member States and China to enhance ASEAN-China collaboration.